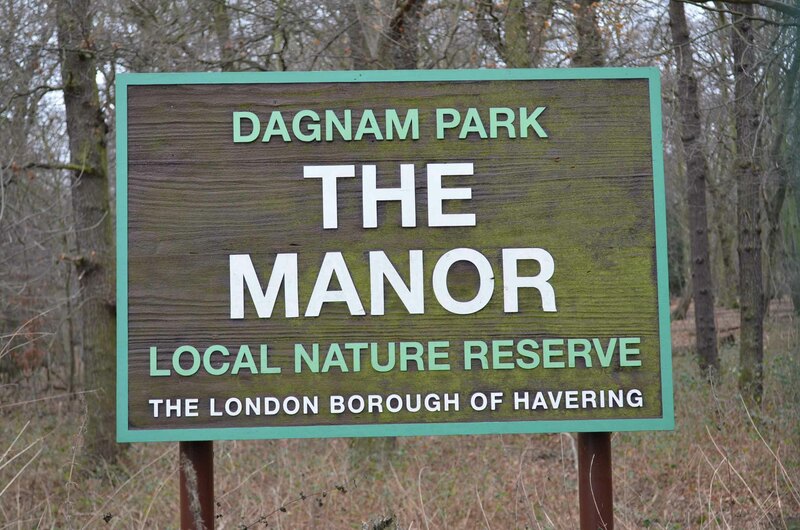 Dagnam Park is situated on the northern edge of Harold Hill. The vehicular access is at the end of Settle Rd. There are also pedestrian access points in Priory Rd, Sedgefield Cres, Tring Gdns, Whitchurch Rd, Lower Noke Close and Noak Hill Rd. The Brookside Angling Club manages the main ponds and there are numerous other small ponds renowned for their wildlife. The park has full public access at all times but the car park is locked at night. The central area of the park has been parkland for hundreds of years and up until 1946 was in private hands. 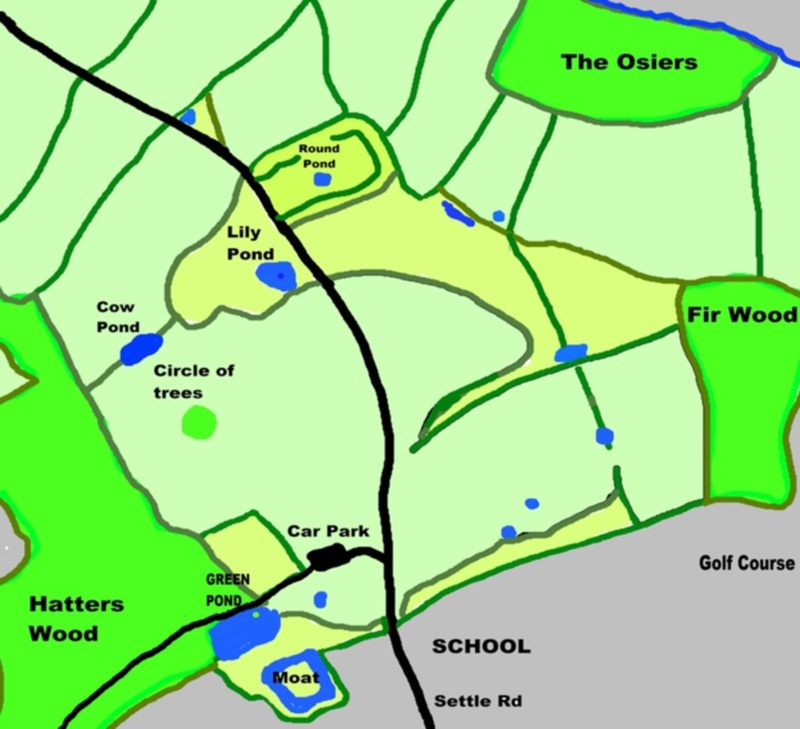 Hatters Wood is significant ancient woodland and there are ancient meadows to the east of the car park area. The Lily Pond was once the ornamental pond associated with the Dagnams mansion to the north west and the round pond was a bathing pool contained within what was once the walled garden. The park is home to a large number of interesting animals and plants. It is one of the most important sites in East London for the great crested newt and has an ever increasing herd of wild fallow deer, not to mention those stunning bluebells. Go to our 2005 response to a council consultation which became our "manifesto"
The Friends of Dagnam Park was conceived at a meeting of the Brookside Angling Club in Harold Wood on the 2nd May 2003 when a whole lot of angry Harold Hill people sat in the audience bursting to have their say about the way their enjoyment of the park had been destroyed by a handful of anti-social illegal motorcyclists. They had been given the opportunity by the angling club that had invited all comers to the meeting. We all turned up but we were not prepared to leave it at that, so a list of addresses was collected and from that original list the core of “the friends” was formed. 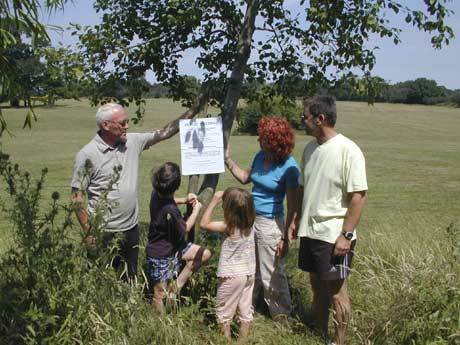 We produced leaflets, contacted the press and organised the biggest public meeting on Harold Hill for many years. 150 local people attended the meeting which was a great success and our membership grew. Since then we have gone from strength to strength, with the angling club affiliated, about 80 supporters, and 35 paid up members. We even have our first donation from a local firm, Peter Jones Brick Paving, who has made a substantial contribution as well as delivering our leaflets free of charge. We are still campaigning against the anti social behaviour in the park but have moved into other areas. We have already been successful in our campaign to have the park declared a Local Nature Reserve, and our campaign to include within the park the surrounding “set aside” farmland that is owned by the council has been successful. We are meeting on a regular basis and alongside our campaign meetings we also organise indoor and outdoor talks and activities. See the website notice board for the diary of events. Why not join us; we need all the help we can get. We each contribute six pounds a year which is used for the hire of halls and other running costs. You can then help us to achieve our aims or simply learn about the park, its history and wildlife. Contact us and leave a phone number, address or email address and we will be in touch. ...........Del Smith. Some founder members of FODP post leaflets in the park. Dennis Cook, D Cook Jnr, Kate Cook, Gaynor Smith and Peter Baines 2003.